Dynamic Displays takes great pride in having designed and manufactured high-quality CRT and LCD imaging solutions to a variety of world-class companies since 1991, but each success has been a result of listening to our customers and creating products to solve real-world problems. The QES1517 Series of 17-inch LCD monitors typifies Dynamic Displays’ design philosophy of addressing the needs of several broad markets. 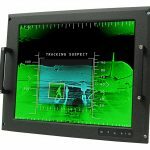 The QES1517 Series LCD Display product line was designed as a rugged 17-inch LCD display platform that provides the flexibility needed to meet a range of industrial, legacy, and military performance objectives and offer it in a number of standard enclosures that can be deployed in a variety of demandingly harsh industrial and military environments. 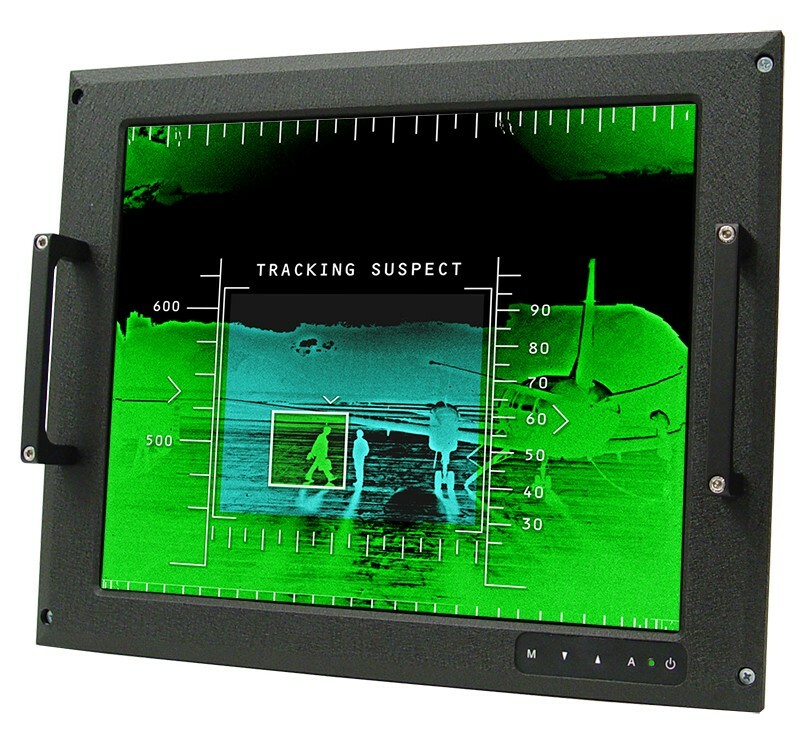 Often times a customer comes to us with a very unique design requirement, which was the case with the QES1517-405 17″ Rack mount LCD monitor. In this case the customer engaged our in-house electronic and mechanical design team to create this customer-driven solution for a military application that required the ability to switch between two sets of red, green, and blue RS-343-type video input signals via a front panel switch. The QES1517-405 modifies Dynamic Displays’ Universal Input Video Option by adding a BNC board to the front end. The Universal Input Video Option switches between two separate video input ports; a standard HD-15 D-sub connection with fixed 75 ohm termination, and a second video port with five BNC connections; Red, Green, Blue Video, Vertical Sync, and Horizontal/Composite Sync and switchable terminations. 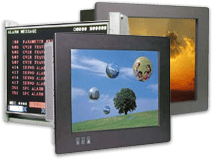 Furthermore, the Universal Video Input Option accepts a wide variety of these non-standard, legacy video timing formats and converts them to the VGA-style video format that is acceptable to most modern LCD displays. For this customer, the electro-mechanical design team designed a dual RGB BNC input board to the front end of Universal Input Video Option and incorporated it into the rack-mount 17″ LCD’s chassis to deliver a rugged, integrated solution that has a minimum seven year availability and comes with a 2-year factory warranty. Dynamic Displays continues to be a customer-driven company, able to engineer and manufacture a variety of fully-integrated computing solutions that meet our customer’s requirements. Universal Video Input for Industrial LCD Monitors.